Nov. 19, 2018 | During a visit with her primary care physician last fall, Carrie Stewart decided to schedule a routine colonoscopy. The physician performing the colonoscopy saw a growth on the imaging that concerned him. 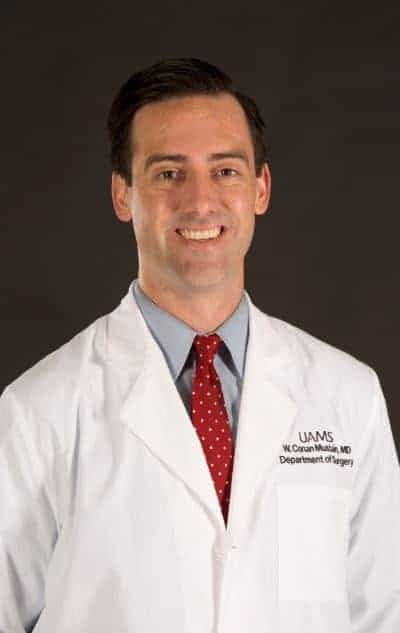 Stewart made an appointment with Conan Mustain, M.D., a board-certified colon and rectal surgeon and assistant professor in the UAMS Department of Surgery. Mustain confirmed it was cancer. 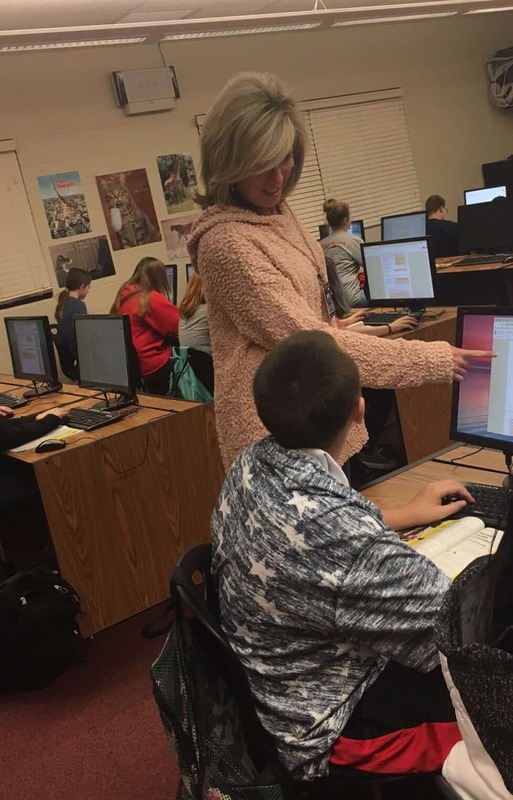 Carrie Stewart teaching students in class. After a full diagnostic examination, Mustain decided Stewart was a good candidate to have the affected portion of her large intestine removed and the remaining portions put back together. The minimally invasive approach included a few small incisions around her abdomen. Then using a laparoscope, or tiny camera, Mustain removed the part of her intestine affected by the tumor. Mustain says doing the procedure this way leads to less pain, lower narcotic use and a faster return to normal bowel function after surgery. Surgery for colorectal cancer at UAMS is performed by board-certified colorectal surgeons, like Mustain and his partners. Cancer cases are discussed weekly by a multi-disciplinary team that includes colorectal surgeons, surgical oncologists, pathologists, radiologists, medical oncologists and radiation oncologists. The health care professionals make sure they have the optimum plan mapped out for each individual. Board-certified colon and rectal surgeon Conan Mustain, M.D. Stewart did not have to have additional treatment following her surgery and is now in surveillance mode. The American Cancer Society recommends colonoscopy screenings begin at age 45 for patients who have no symptoms and no family history of the disease. But, Mustain says, you’re never too young to have a colonoscopy if you’re having symptoms. Mustain says anyone with unexplained abdominal pain, weight loss, anemia, bleeding or change in their bowel habits should see a doctor and likely be checked with a colonoscopy.